Nominations now: With every week bringing more news from awards givers, it's easy to forget that the only award that really matters in Hollywood is the Oscar. Everything else is just a steppingstone to winning an Academy Award. Academy voters are about to start working on. This Wednesday (Dec. 30) marks the start of nominations balloting by the Academy's 6,261 voting members. For the past few years, Academy members have been able to nominate and vote online, if they're comfortable working that way. If not, they can still send in paper ballots by snail mail. The majority of Academy members are reportedly men in their sixties or older, many of whom just aren't Internet friendly.Some of them are said todepend on assistants or agents to take care of their e-mail and other online needs. However they choose to vote, they all face the same challenge that goes hand in hand with being an Academy voter – too many films to see and not enough time in which to see them! If you're not in the movie business, it probably seems hard to believe that people who make movies don't actually see a lot of them during the year -- but that's true. It reflects the reality that moviemaking typically bringspeople to far-flung locations and keeps them busy shooting long hours while they're there. Generally, there's no time to kick back during production and catch a movie. So by year-end when they've got to nominatethe best films, they haven't seen most or, maybe, any of the contenders.Moreover, many of the highest profile contenders don't even open until mid or late December, which makes it really hard to see them in time. Worse yet, the timing for nominations voting is hideous if you're vacationing from pre-Christmas to after New Year's in Aspen, Hawaii or the Caribbean, as many Academy members do. That leaves little time to attend studio screenings or even to sit down to watch the DVD screeners that keep turning up in the mail and stacking up at home. TheAcademy's short voting window for noms ends at 5:00 p.m./PDT on Tue., Jan. 8, only a few days after many Academy members return from their winter holidays and are just getting back in action. To make the best use of their very limited viewing time, Hollywood marketers believe Academy members decide what to see – or, at least, what to sample on DVD -- based on what other awards groups have already honored. In particular, nominations by the Hollywood Foreign Press Association (Golden Globes), the Screen Actors Guild (SAG Awards) and the Broadcast Film Critics Association (Critics Choice Awards)are seen as helpful cheat sheets for time-pressed Oscar voters. Members of those groups don't face the same problem the Academy crowd has about catching up with a year's worth of movies in just a few weeks time. HFPA members see films every week of the year as part of their jobs as journalists covering Hollywood for mostly obscure publications around the world. BFCA members also see films throughout the year because they review them on TV and radio. SAG's noms are done by a committee of about 2,200members chosen randomly by computer from the guild's membership of about 111,000 actors. SAG nominators are believed to pay very close attention to DVD screeners. That's why studios routinely send them at considerable expense to the guild's entire membership – no one knows who will wind up on the nominating committee -- as early in the season as possible. As Oscar voters pondermaking nominations, they can't help but be aware of who's been making headlines with Globes, SAG and Critics Choice noms. It's hard not to be influenced by what others are shouting about, especially if they're all saying the same thing. The Academy's "preferential" process for counting best picture nomination votes is complicated and difficult to explain unless you're an accounting pro at PricewaterhouseCoopers, the firm that actually does the counting. I'm not, so let's just say that to land a best picture nod a film must be the first title listed of five total choices by 5 percent of the Academy members who vote. Insiders claim that not all eligible voting members bother to vote. Let's pretend that 85 percent of the 6,261 voting members vote this year. That would be about 5,322 votes and 5 percent would equal 266. Voters must rank films from one to five in order of priority for a best picture nod. Films with too many votes lose a percentage of them in "surplus distribution" to the next highest ranking title. There are even more byzantine rules that determine how many films qualify to be in the best picture race. Who actually dreamed up this system and how they ever convinced the Academy's Board of Governors to adopt it is a very good question. In any event, the Academy will wind up nominating up to 10 best picture contenders. Here's a quick look at how other leading groups' best picture nods could impact on those Oscar noms. 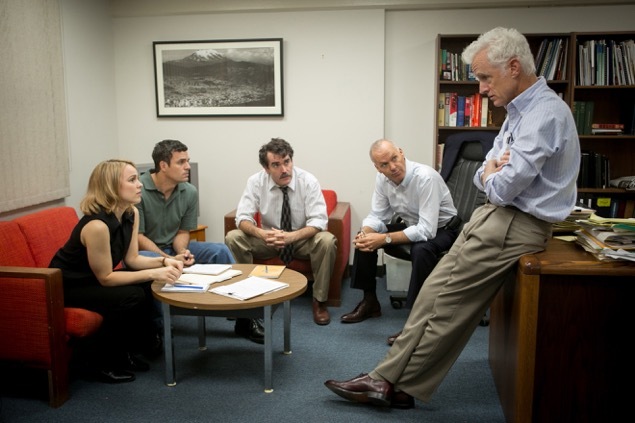 GOLDEN GLOBES: The HFPA nominates five best picture-drama and five best picture-comedy or musical contenders. Since Academy members are known for not taking comedies seriously when they think about best pictures, the Globes' drama noms are usually the better bellwether of who may get into Oscar's best picture race. The Globes' nominees for best picture-drama are: "Carol,""Mad Max: Fury Road,""The Revenant," "Room" and "Spotlight." Complicating things this year is that the HFPA voted to categorize as comedies three films that many people thought were dramas. Those "dramedies" should have a better shot at best picture Oscar noms than comedies usually have. The Globes' nominees for best picture-comedy or musical are: the "dramedies""The Big Short,""Joy" and "The Martian"and the comedies"Spy" and "Trainwreck." "Joy" opened last weekend in third place to a happy $17.5 million. "Short"expanded after two weeks in limited release to a semi-wide run, placing seventh with an encouraging $10.5 million and a $16 million cume. Academy voters will look closely to see in what other key Globes categories those best picture nominees are also competing. "Carol"(Todd Haynes),"Revenant"(Alejandro Gonzalez Inarrritu),"Spotlight"(Tom McCarthy), "Max"(George Miller) and "Martian"(Ridley Scott) are all in the best director race.Typically, a film's best picture prospects are enhanced when its director is also a nominee. It also helps that all five of those films havebest picture and directing noms in the Critics Choice Awards. "Revenant"(Leonardo DiCaprio) is the only Globes' best picture-drama nominee that's also in the Globes' best actor-drama race. "Short" (Christian Bale and Steve Carell) and "Martian" (Matt Damon") are the two Globes' best picture-comedy or musical nominees that also are in the Globes' best actor-comedy or musical race. "Carol" (Cate Blanchett and Rooney Mara) and "Room" (Brie Larson) are the two Globes' best picture-drama nominees that also are in the Globes' best actress-drama race. "Joy" (Jennifer Lawrence), "Spy" (Melissa McCarthy) and "Trainwreck" (Amy Schumer) are the Globes' best picture-comedy or musical nomineesthatalso are in the Globes' best actress-comedy or musical race. Actors and actresses who are Globes nominees for films that also areGlobes best picture nominees typically have a better shot at being Oscar nominated than Globes acting nominees whose films aren't in the Globes' best picture race. SCREEN ACTORS GUILD: SAG doesn't have a best picture race, but its ensemble cast category is consideredan equivalent award. The guild's five nominees are: "Beasts of No Nation," "Short,""Spotlight," "Straight Outta Compton" and "Trumbo." Of these, "Short" is also a Globes nominee for best picture-comedy and "Spotlight" has a Globes' best picture-drama nod. Having both Globes and SAG noms virtually guarantees that Academy voters will make time to watch them. SAG doesn't vote for best directing. 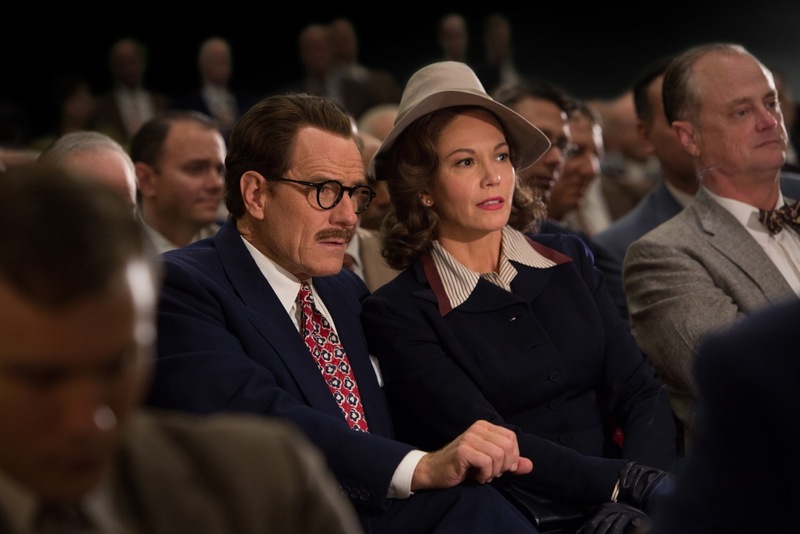 In the guild's best male lead actor race, the only nominee with a SAG ensemble cast nod is "Trumbo" (Bryan Cranston). In SAG's best female lead actor race, there were no nominees from films that were nominated for best ensemble cast. There are 1,138 voting members of the Academy's Actors Branch, all of whom are also SAG members. That's about 18 percent of the Academy's 6,261 voting members, which means the impact of SAG noms can be considerable on Oscar's best picture and acting nods. CRITICS CHOICE AWARDS: The BFCA nominates 10 best pictures without differentiating between dramas and comedies. This year's noms went to: "Short,""Bridge of Spies," "Brooklyn," "Carol,""Max,""Martian,""Revenant," "Room," "Sicario" and "Spotlight." After this list was announced, BFCA members saw"Star Wars: The Force Awakens," after which they voted on whether it would have made their best picture list had they seen it before voting. They then added it to theirbest picture list as an 11th nominee, but did not include it inany other categories.By putting "Awakens" in their best picture race, the BFCA could prompt Academy voters to do the same. But to see it, Oscar voters will have to attend screenings – which many reportedly have already done -- since no DVD screeners are being sent out for fear of digital piracy. The BFCA's six best directing nods were for: "Carol,""Revenant,""Spotlight," "Max,""Martian"and "Bridge,"all of whom are also in the group's best picture race. Two of their six best actor nominees are from films that also received best picture nods: "Martian" (Damon) and "Revenant" (DiCaprio). Three of their six best actress nominees are from films with best picture noms: "Carol" (Blanchett), "Room" (Larson) and "Max" (Charlize Theron). Only two of the 11 Critics Choice best picture nominees are also SAG best ensemble cast nominees – "Short" and "Spotlight." Six of the 11Critics Choice best picture nominees have the advantage of also being in the best directors race, which should bring themincreased Academy attention -- "Carol,""Revenant,""Spotlight," "Max,""Martian"and "Bridge." Bottom line:Only two films are best picture nominees in all three of the Globes, SAG and Critics Choice races – "The Big Short"and "Spotlight. "They're likely to be the first screeners Academy members watch as theyprepare to nominate.